A Little Bit of Typography! Okay, this one goes out to all the cool kids from Canterbury who’ll remember the Amsterdam times. So, this is one of our first Type projects of the Degree. 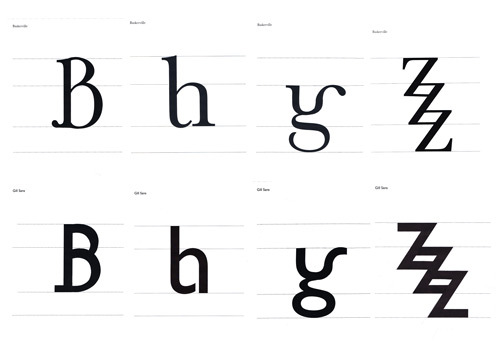 The aim of this one was to get us to familiarise ourselves with the form of a certain typeface and understand the rules and structural relationships within any given type. The fellas in the limelight were Baskerville and Gill Sans. Using the method of blipping, we were to perform a kind of sick, font surgery and splice bits and pieces from pre existing letters and numbers into a Frankenstein form. 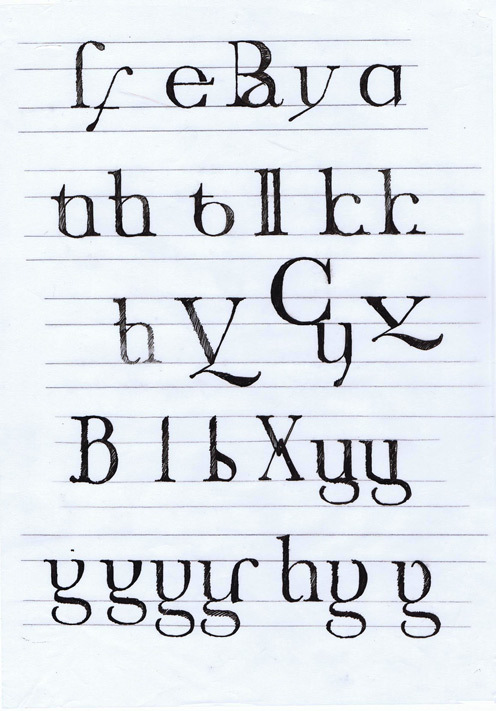 The form could be an already existing letter (from any language), a dipthon or ligature, a symbol or anything else. It was literally just an exercise in form. As it was a no computers allowed kind of deal (gotta love first year), we then were to photocopy large versions of the letters and cut and stick them together into our desired forms so we could fix any discovered sections that didn’t obey the rules of Baskerville and Gill Sans.